On March 12th, 2017 there will be a Full Moon at 22 degrees Virgo. Think back to the intentions that you set at the Solar Eclipse in Pisces two weeks ago. How have your dreams been surfacing into your waking life since then? Whatever has happened, this Full Moon in Virgo will allow you to shape your destiny with added discernment and sophistication. Under the Moon in Virgo’s influence, your feelings and desires will become expressed through careful syntax, imbuing your words with more potent magic. But first, your will must be refined in the pursuit of higher understanding. The material world is the Virgin’s domain. And her devotional art is to preserve the sanctity of the Earth and the body. Thus, Virgo inspires sincere devotion and intelligent attention to your sacred and vital relationship with all physical form. Virgo’s attunement to the Earth’s heart is expressed through her insightful perceptions of emergent phenomena and her precise instincts that inherently align with divine order. So consider this Full Moon in Virgo to be an initiation into Earth magic, where pattern recognition will be enhanced, your senses will intensify and your body will become illuminated as a sacred temple. This Full Moon in Virgo will be in a very tense square with Saturn in Sagittarius, assuring that there will be a confrontation with time, restriction and the fear of impending death. And yet the discerning eyes of the Virgin are well equipped to handle this confrontation. She maintains her precision even under pressure, knowing that the bloom of all beauty is an ephemeral pleasure that must be appreciated and then released to the devouring jaws of time. The Earthen wisdom of this Moon will be radiating from the final decan of Virgo. Thus, this Full Moon will be tinged by a subsuming melancholy that follows any revelation of life’s fragility. We are eternal spirits in a temporal material world. And yet, it is in this doleful dissonance that life ripens into the rarified sweetness of genuine appreciation. Sickness must be endured in order to cultivate sincerity about health. Thus, the inevitability of the decay and death of all matter must be accepted for pure gratitude to emerge. Virgoan meditations upon death, whether literal or symbolic, will be pulled to the surface at this time by Pluto in Capricorn which will be sextile the Sun in Pisces and trine the Moon in Virgo. Despite the ominous shadows that this may summon, on a deep emotional level you will be gifted with Pluto’s ecological awareness of life’s cyclical processes: the beautiful rhythm of ebb and flow; rise and fall; birth and death. To better connect with the soul of this Virgo Full Moon, look to the life and work of the great Romantic poet, John Keats. 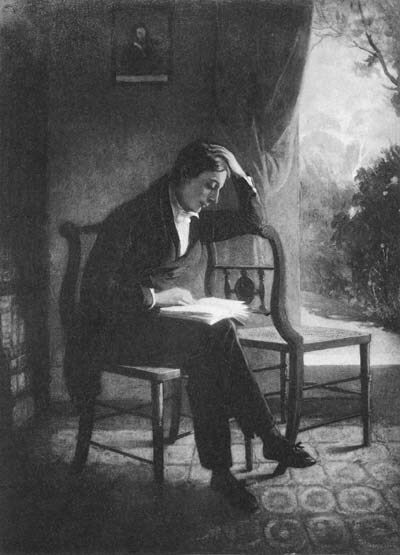 Born in 1795, Keats grew to become one of the most important figures of Romanticism, upholding a philosophical worldview that reified human imagination, exalted beauty, and found purpose in both the agony and ecstasy of life. Keats’ sonnet, When I have Fears that I may cease to be, was written in 1818 when he began showing the first signs of tuberculosis, a disease that had also claimed his younger brother. 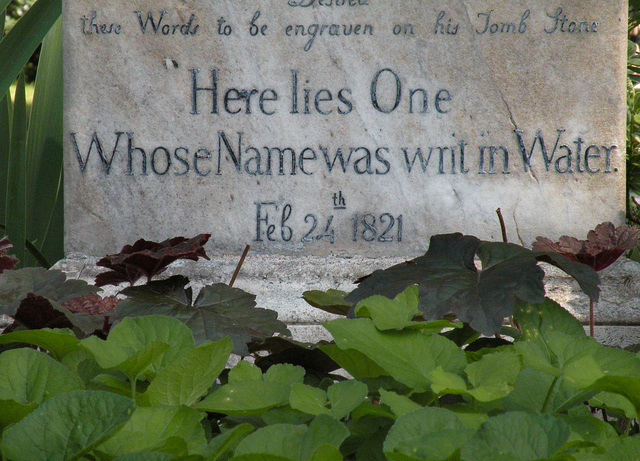 Thus, the theme of this poem is to illuminate the very real fear of death as both a personal and universal experience. Only three years later, he was struck down by illness and he knew that his days were quite numbered. When I have Fears that I may cease to be expresses Keats’ fear that death will prevent him from rising to fame as a revered poet. Even worse, he fears that death will cut short his philosophical quest, ending his search for meaning. And finally, he laments that death will separate him from his beloved. His grief is palpable and yet, there is a catharsis within the poem which is inspiring to the reader. With the Sun in Pisces sextile Pluto, this imagery and tone is especially resonant. As a Romantic, Keats believed that art, sublime marriage of truth and beauty, possessed the power to transcend all suffering, even death. He also believed in the power of emotion to guide one’s soul towards transcendence. This is the mystical illumination that the Sun’s passage through Pisces imparts. This Full Moon in Virgo will offer some catharsis for you as the square with Saturn intensifies the pressure to learn to use your time more wisely and face fear with courage. In Keat’s sonnet, through an honest confrontation with his inevitable decay, he pushes past the wall of grief, releasing his attachments to love and fame. love and fame to nothingness do sink. 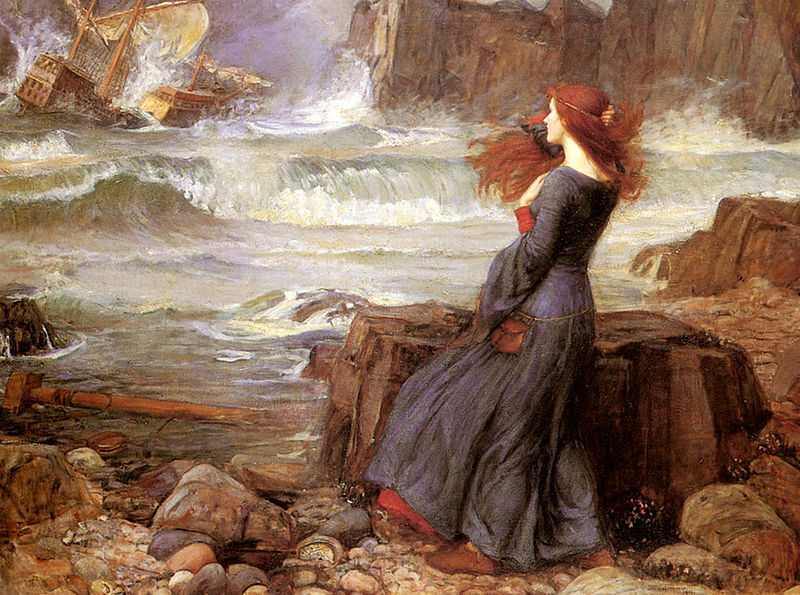 By the end of the poem, he finds himself standing upon the shores of the wide world: a threshold between land and sea; life and death, Virgo and Pisces. In this liminal realm between matter and spirit, the purifying waves wash away fear, revealing the horizon that lies beyond the beyond. A truly tragic poet, he imagined that all the truth and beauty of his life would be lost like tears in rain. In life, Keat’s fear of falling into obscurity drove him to improve his craft until he became a masterful poet. But in the end, he saw death as a release from all suffering, including the burning desire for fame, the agony of sickness and the urgency of all his unanswered questions. Keats always knew that he was a spirit in a material world and in the end he accepted the conditions that all matter is subject to. Thus, his haunting fear was resolved and his work was immortalized. And it is certain that his fame has grown far beyond what his wildest dreams ever could have been. The opposition between the Moon in Virgo and the Sun in Pisces asks that you learn to clarify your relationship with the material and spiritual realms. Relate to your body as if it were a beautiful vase for a bouquet of flowers: it is a temporary vessel to display the rarified beauty of your eternal soul. Under this Moon in Virgo, seek the awakening wisdom of transcendence rather than mourning the decay of organic life. At this Full Moon in Virgo, re-orient your life to be in the service of healing, no longer wasting your energy running from fear. Whatever gifts you have been given, cultivate them with love. And whatever time you have in this life, use it wisely.